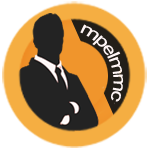 I'm using the premium package on my forum, with ads disabled for guests, and an active Adsense account. 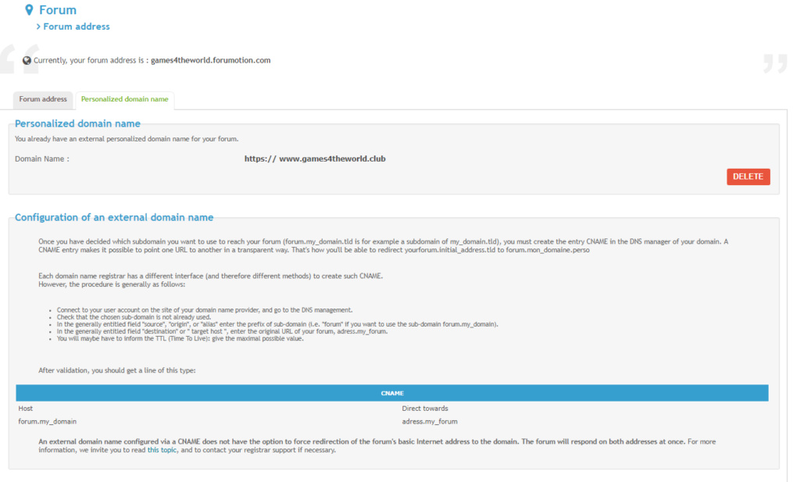 My forum has a custom domain, as well as a forumotion subdomain. "Earnings at risk - One or more of your ads.txt files doesn't contain your AdSense publisher ID. Fix this now to avoid severe impact to your revenue." This is only true for the forumotion subdomain, everything is in order on the custom domain. Now I understand that the forumotion root domain has to be updated with my publisher codes before the ads associated with my adsense account show up on the subdomain. All of the information needed has been entered in the appropriate part of the Adminpanel. My publisher code is not (yet) showing up on https://www.forumotion.com/ads.txt, and my question is only when Forumotion updates the ads.txt at the root domain. Is it something that is done regularly, or do founders have to request the edit to this ads.txt? Can we please have the URL of your forum? If you may, the URL with the domain name you bought and the URL with the Forumotion subdomain. Did you do it here: AP > Misc. > Personalized Ads > ads.txt. file? Thank you for your answers, and apologies for the delay. @SLGray wrote: Did you do it here: AP > Misc. > Personalized Ads > ads.txt. file? Yes, that's exactly where I put it. Where do your ads suppose to appear on your forum? I have a few banners on the custom domain, currently at the top of the forum under the menu, above the chatbox and between sections. So you did not remove ads for members? I have disabled ads for members and guests when I bought the premium package, as is the condition of having my own ads there. I am also still tweaking Adsense, because I feel there are a few too many ads right now, but having taken over this forum only a few months ago, I am still learning. The ads on the .club domain show up fine, but if you go to www.games4theworld.forumotion.com, there are no ads at all, and there's a warning in my Adsense panel that my publisher ID is not present at forumotion.com/ads.txt, and they require it before they'll serve ads to users who come in through the subdomain. It is present at games4theworld.forumotion.com/ads.txt, but that isn't enough. Wait a minute! Did you add your ads through your domain name provider? Also are you sure that you have your domain name setup correctly? Even if you used the original link fro your forum, it should change to the domain name in the browser tab. The forumotion subdomain, however, does not redirect to the custom domain! And I wasn't aware that it should, so I will look into that. Yes! But I didn't find it in www.forumotion.com/ads.txt, has it not been added yet, or is Google Adsense slower than they claim to be? I know if one case i helped with that it took just under 3 weeks to get this working and it had nothing to do with our systems. I understand you did the ACP settings right but where are you trying to place your ad's on your forum do you have a code that you have put in your home page or templates. I use the space in Adminpanel > Forum Monetization for the Adsense code. I placed the same code in the "Top of the page" advertising space, "Footer" advertising space and "Mobile" advertising space. Then we will wait, patience is a virtue, as usual. Thank you very much for your time, everyone. It is your forum's, not Forumotion's ads.txt. @SLGray wrote: It is your forum's, not Forumotion's ads.txt. Ah! That clears things up. Ok, I will wait for a couple of weeks, to see if the issue resolves itself, and I am having one of my more tech-savvy team members check whether I have set up the custom domain correctly. Thank you again for your time, and please advise me whether I should mark the topic "solved", or that you prefer I reply again in a few weeks, to let you know whether or not the issue has been resolved. keep it open by bumping the thread 2 or 3 times a week or it will auto close after 7 days. Thank you all very much, and have a nice weekend! Your welcome have a great day.